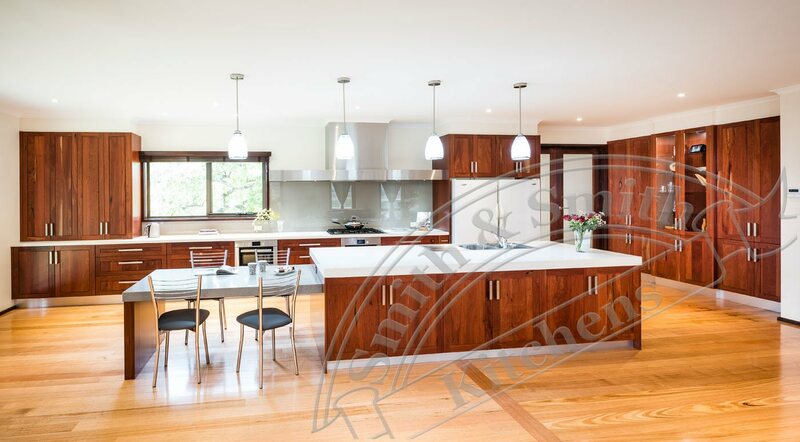 Feature grade describes timber that has a greater number of features such as knots, gum vein and perhaps some cracks and splits. 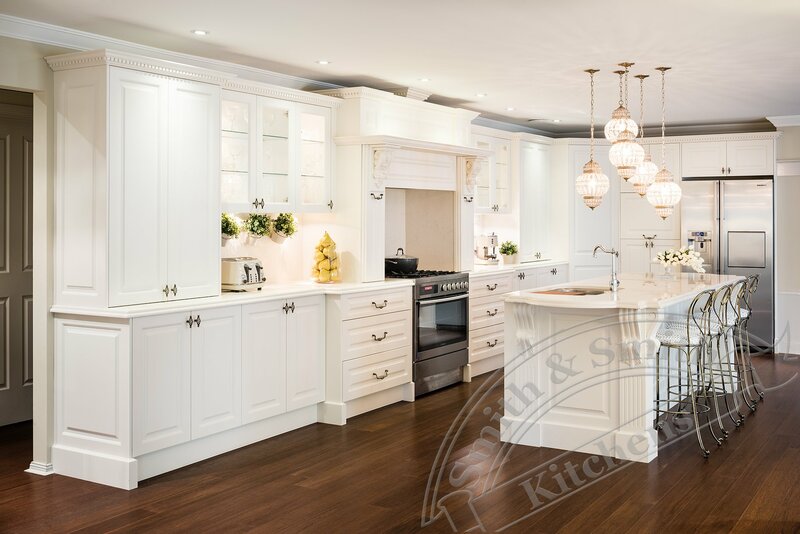 Feature grade is often chosen as a stylistic choice when a client wishes to celebrate the uneven, natural beauty of timber. 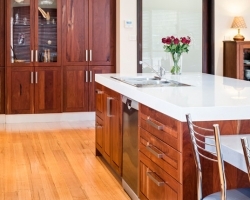 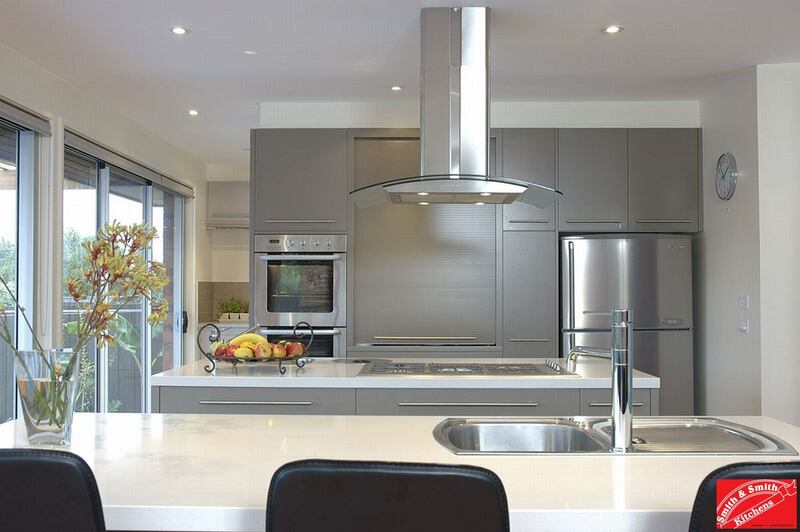 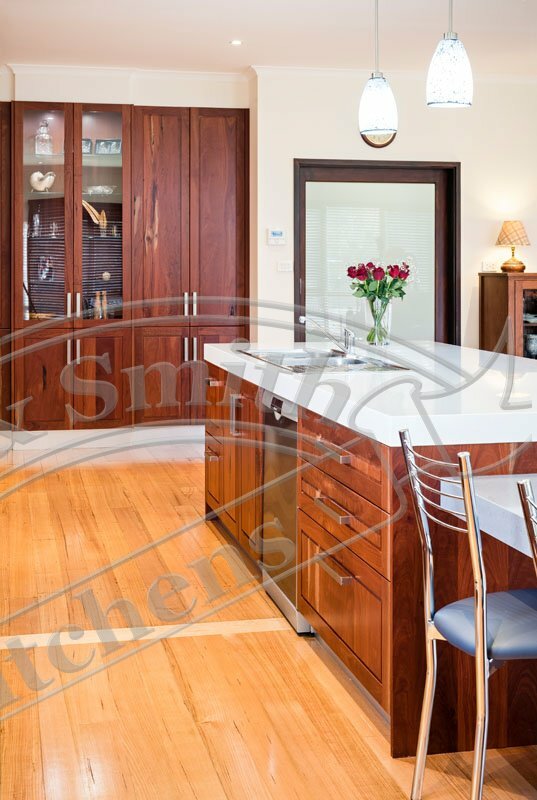 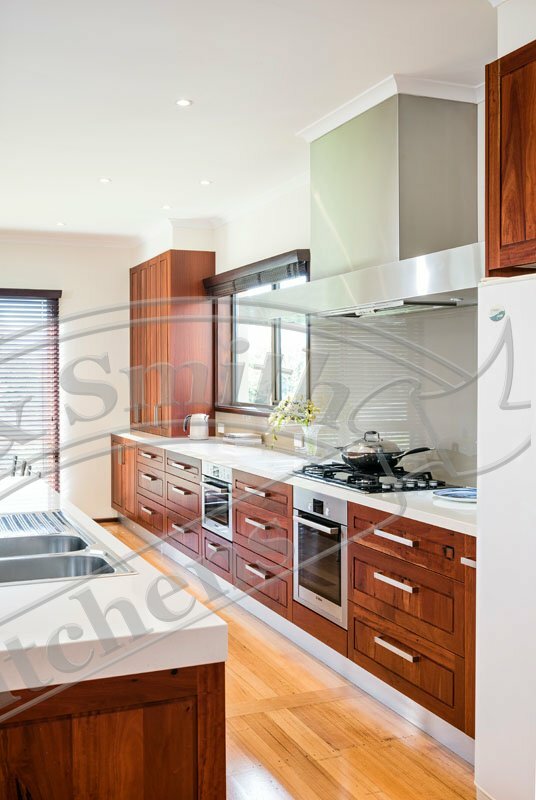 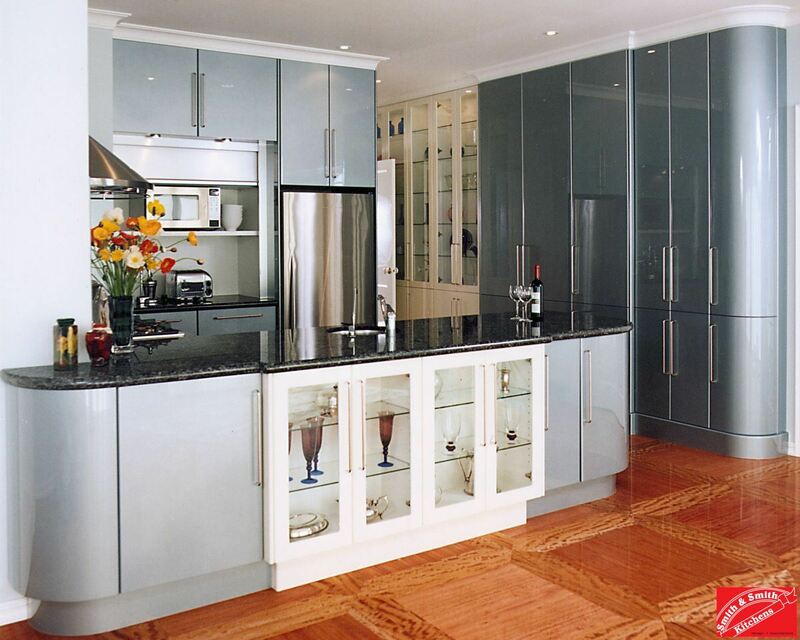 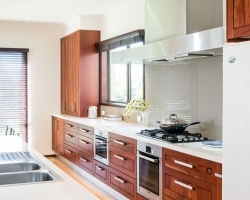 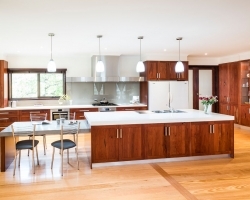 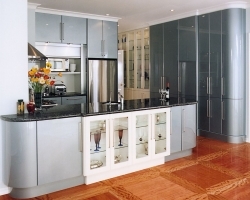 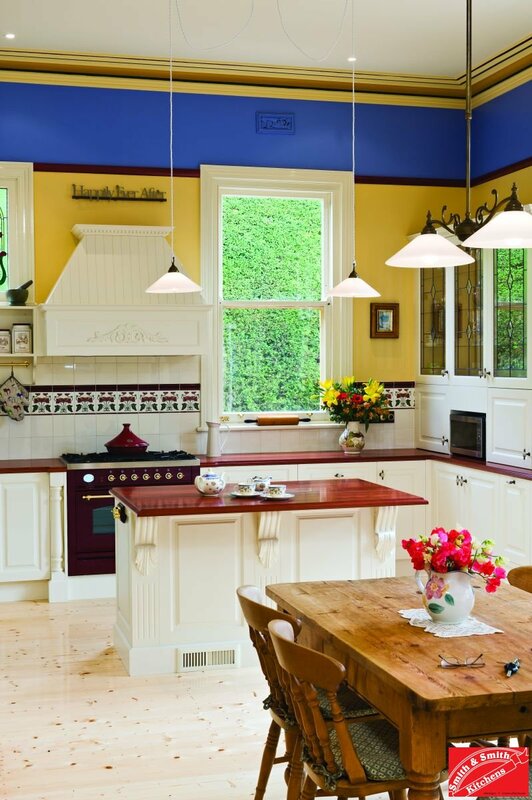 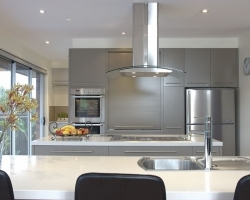 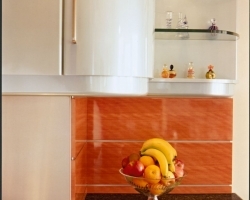 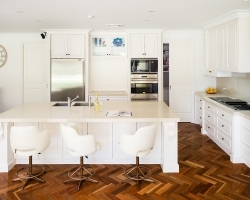 This kitchen utilises a rich feature grade red gum in the raised centre panel doors. 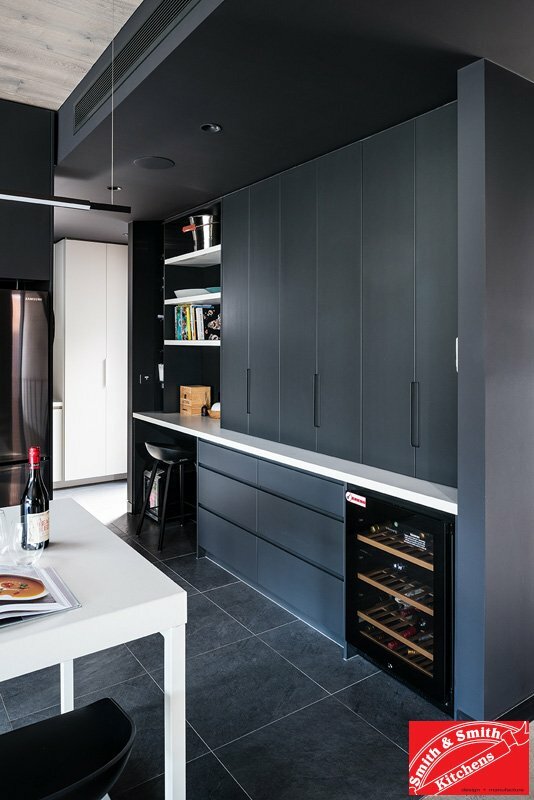 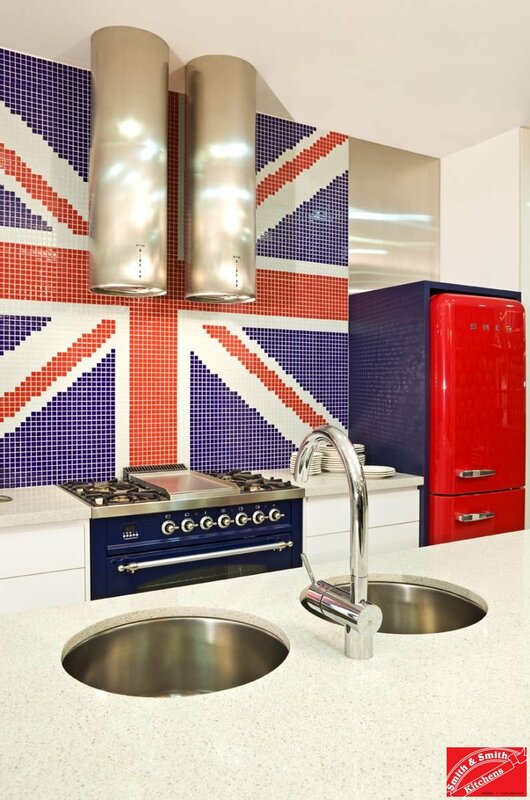 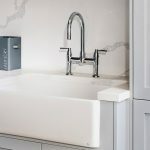 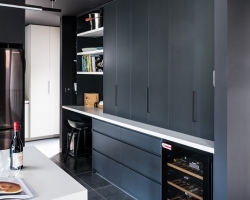 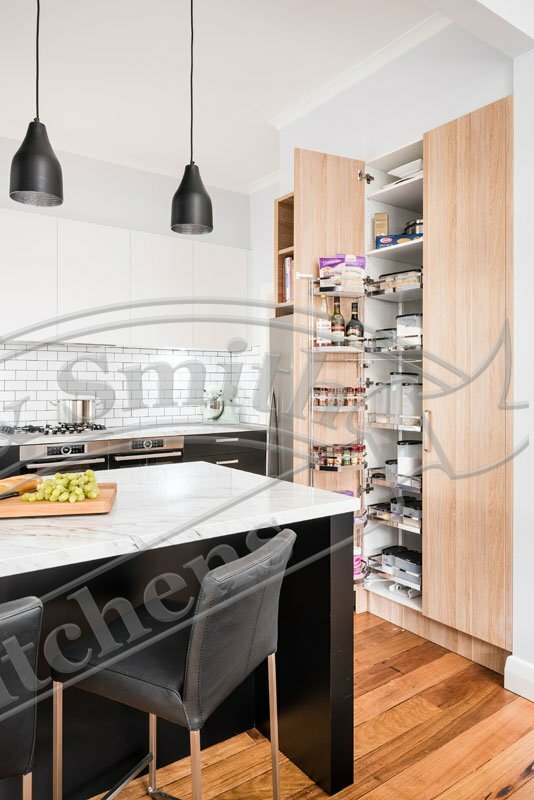 This bespoke feature keeps the kitchen in the modern zone without going too far toward traditional as it would with anything more detailed. 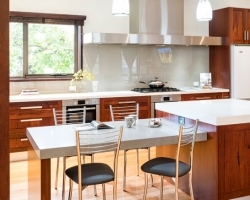 Engineered stone benches keep the look crisp and contemporary. 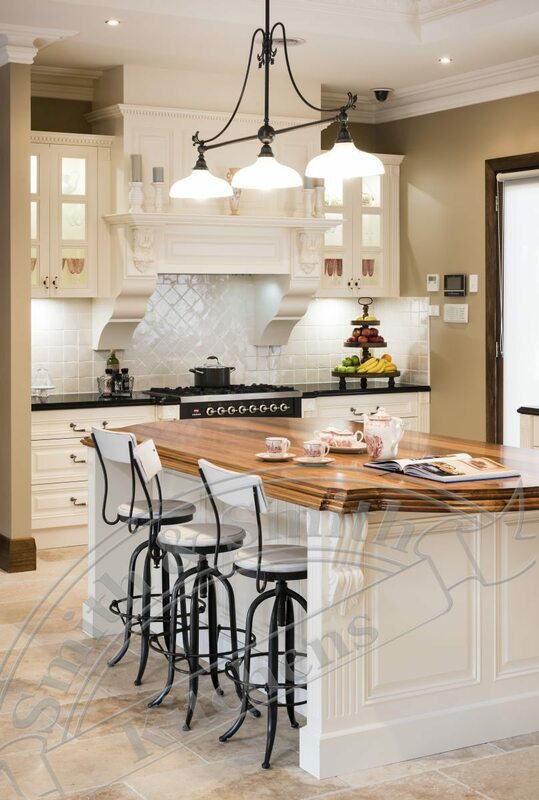 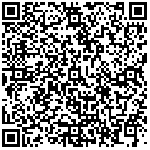 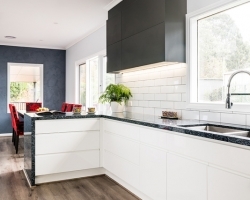 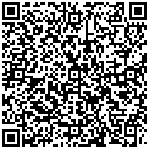 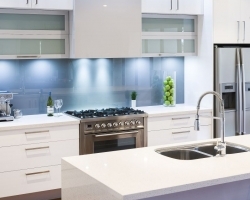 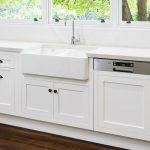 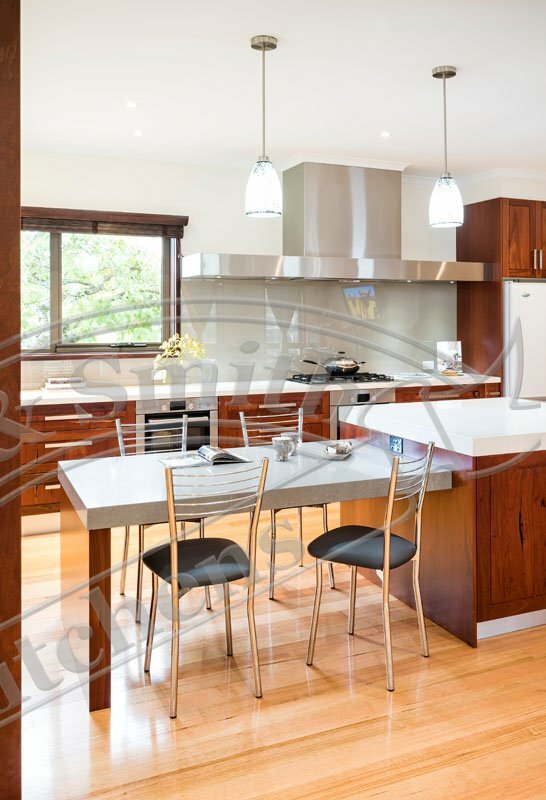 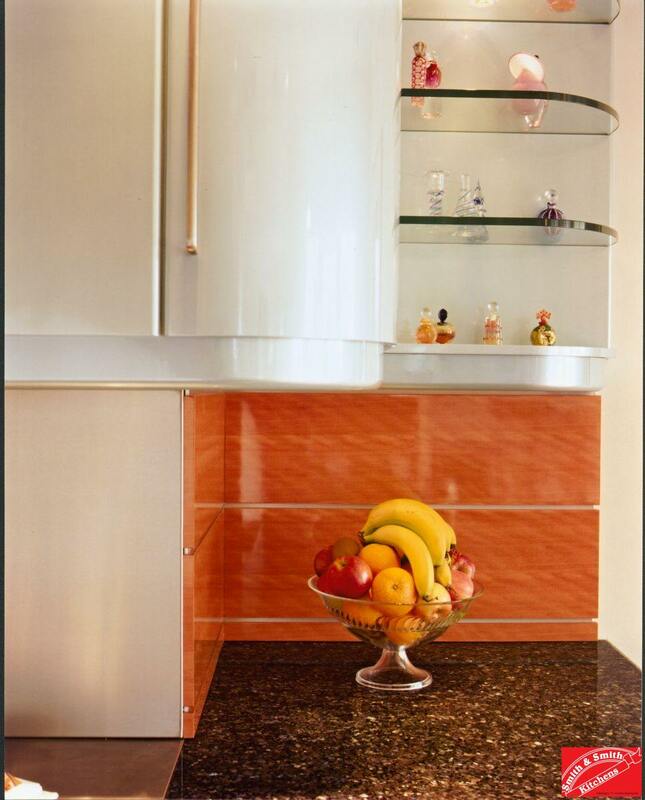 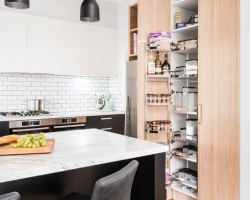 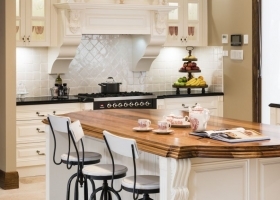 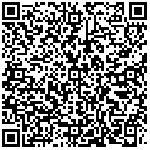 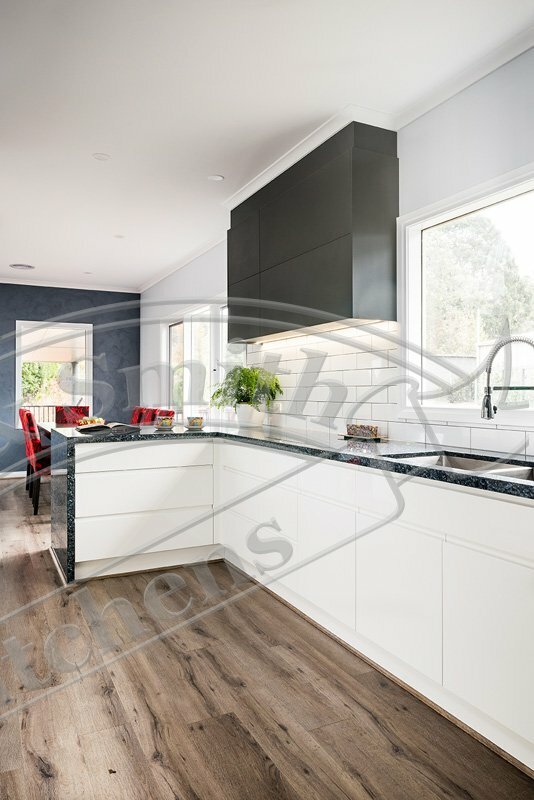 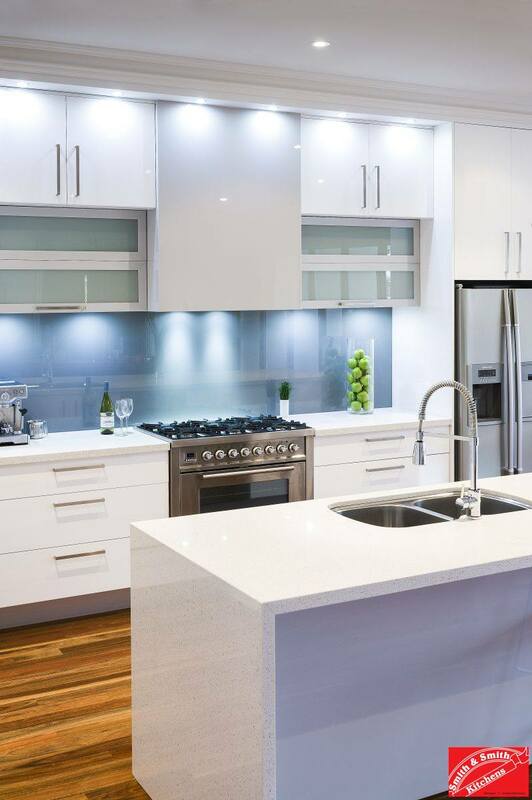 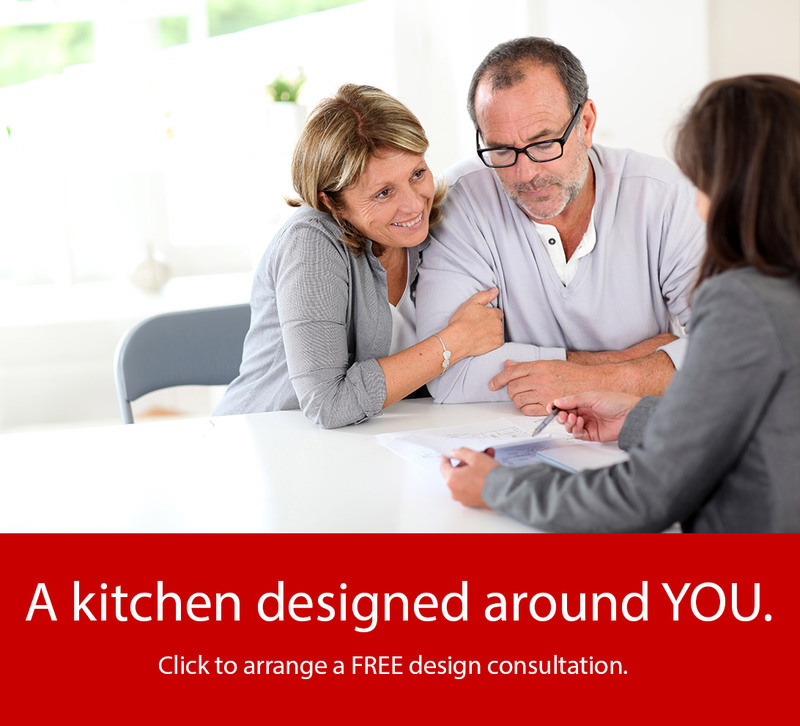 For larger images of this rich feature grade red gum kitchen, click one of the thumbnails below. 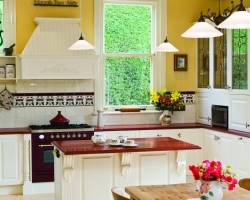 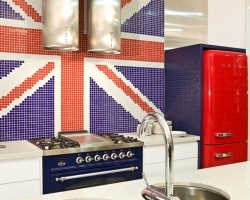 Or return to Recent Kitchens.